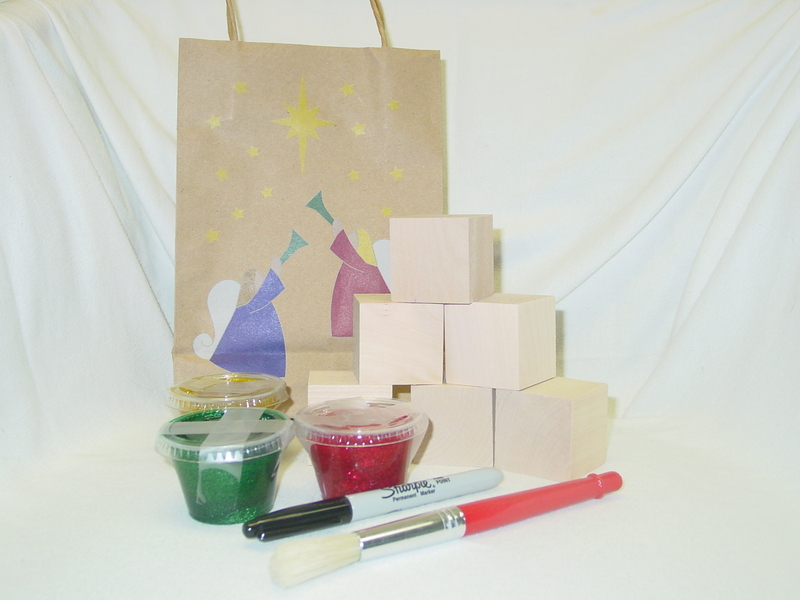 Stop by the glass lobby this Sunday and pick up a Christmas activity bag for your family. Each bag will have 6 days of activities plus all the supplies. Your family will be decorating a set of blocks that you can display in your home. The blocks will play a part in each day’s devotion, and will be a reminder to your family of how God wants us to respond to the birth of Jesus. How you do it is up to you. You can save it and do all 6 the week before Christmas, or you can do a few each week leading up to Christmas. Whatever you choose, make it a fun and special time for your kids. Provide their favorite snacks, cozy up on the couch, watch a movie or play a game together afterward. Be creative and don’t be afraid to adapt the devotions to fit your family best. We only have 100 bags available so don’t forget to get yours this week. The activities are designed for families with kids from 3 years old to 5th grade.